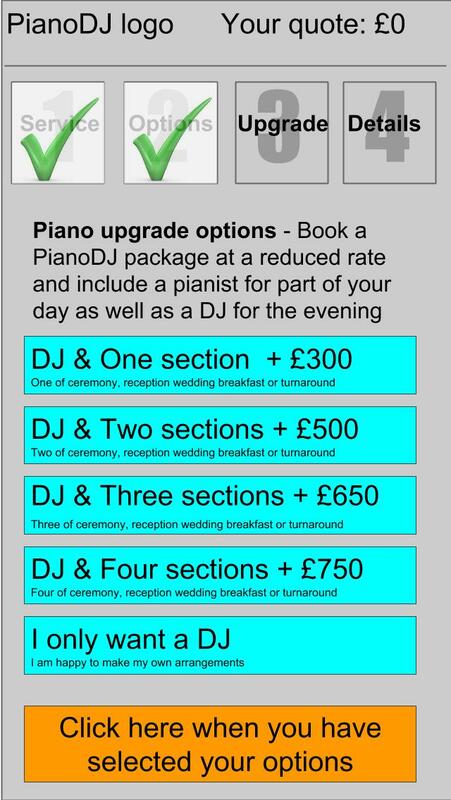 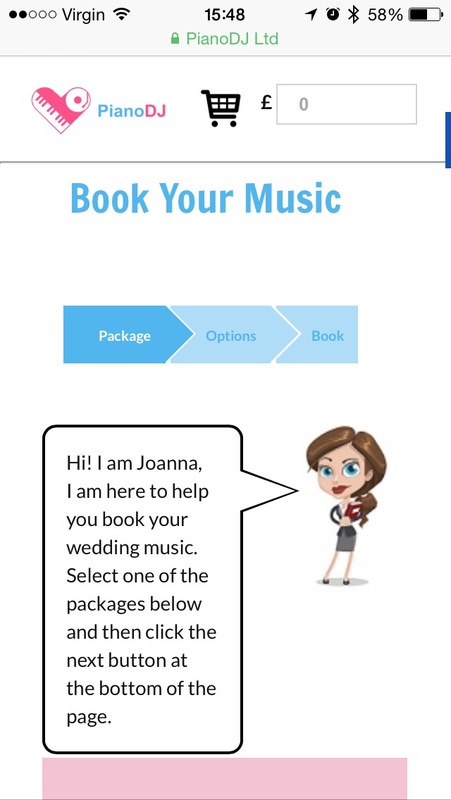 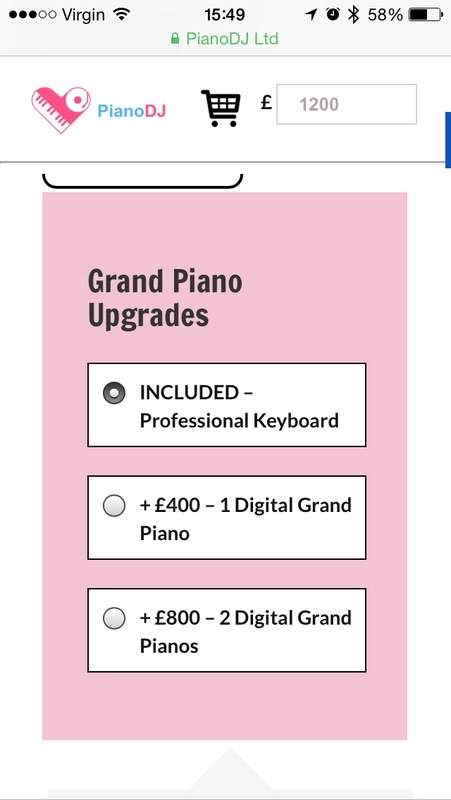 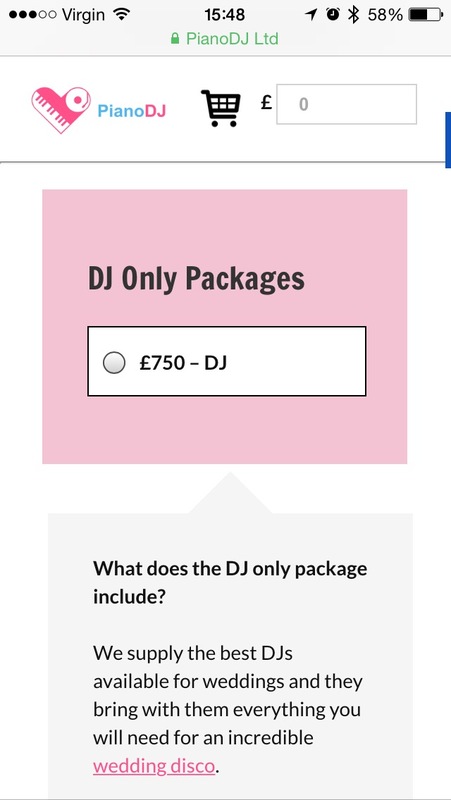 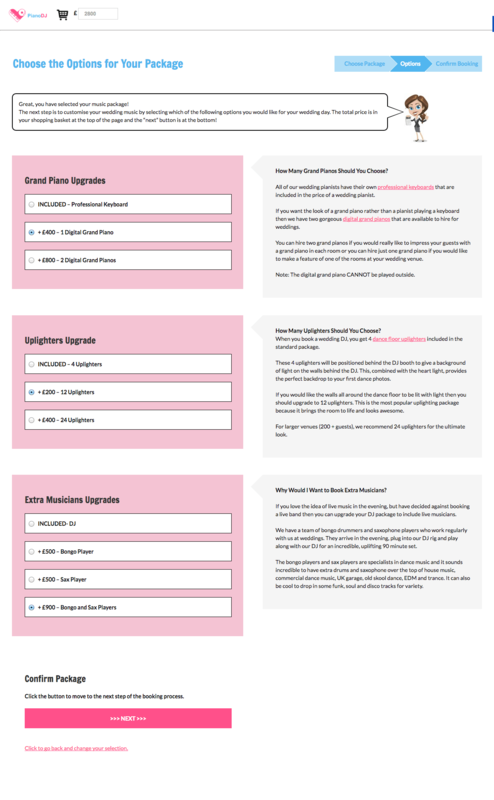 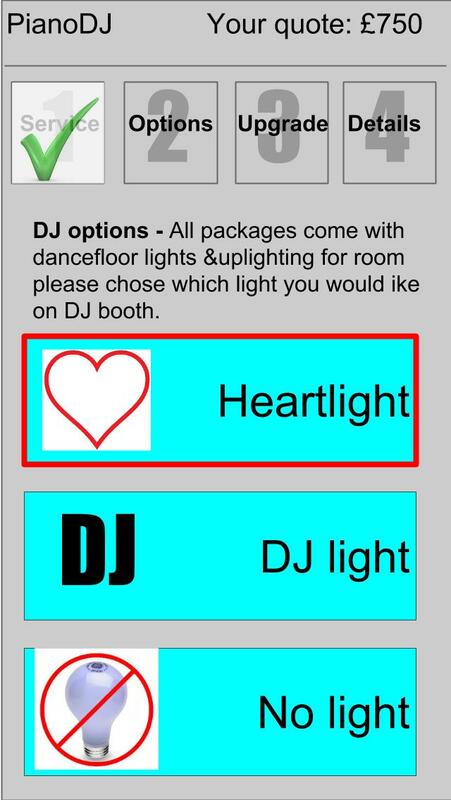 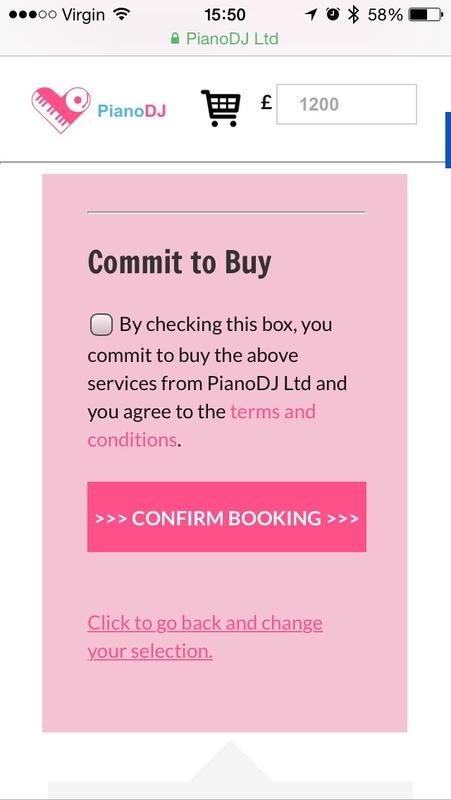 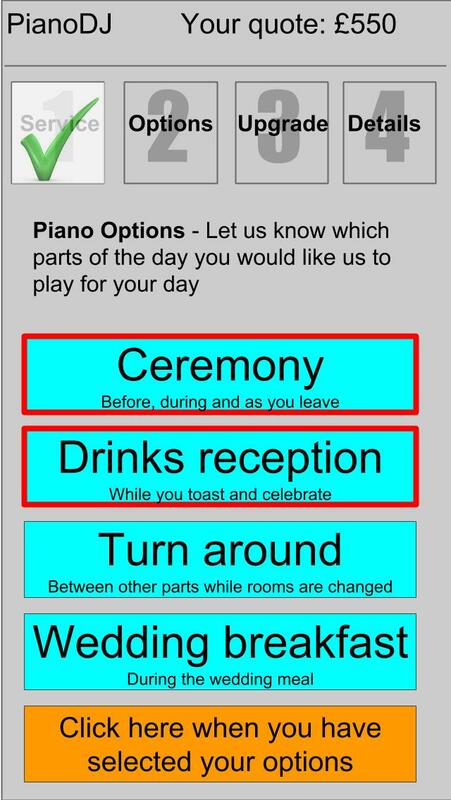 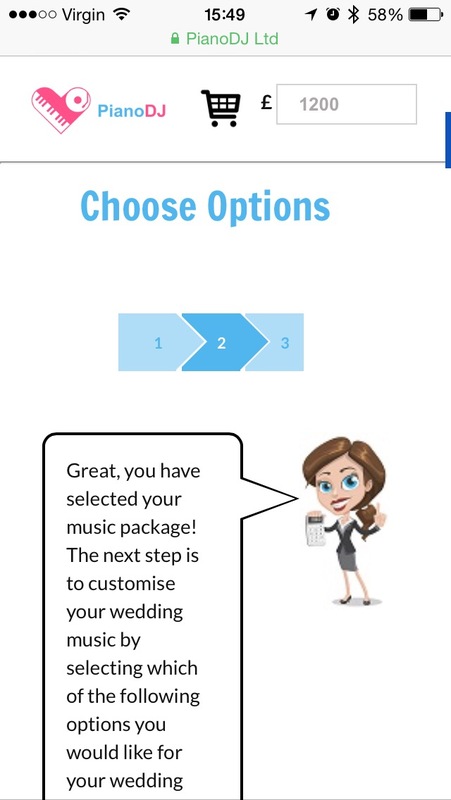 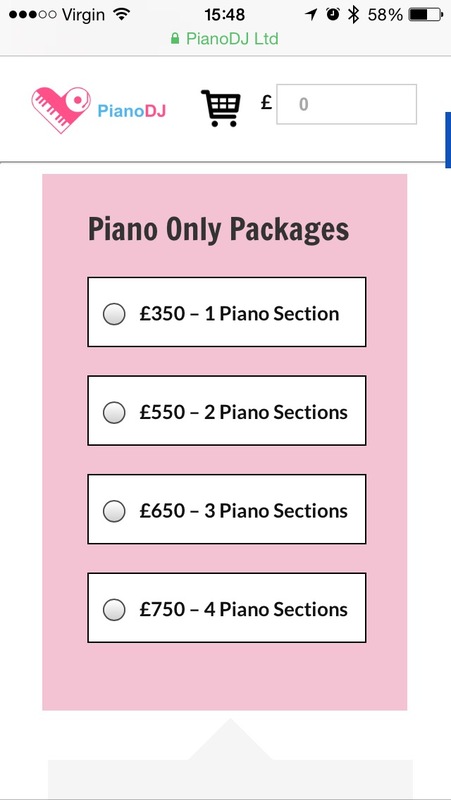 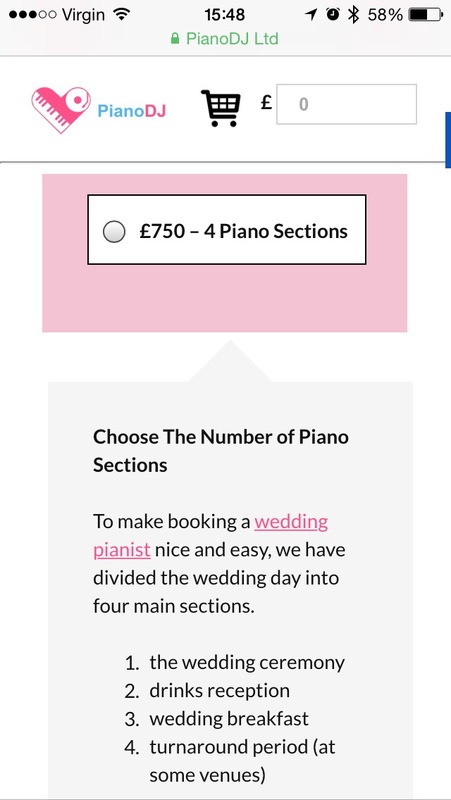 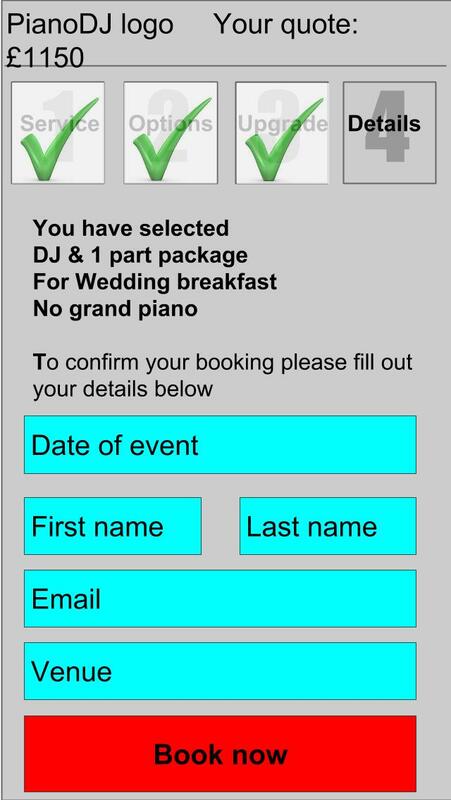 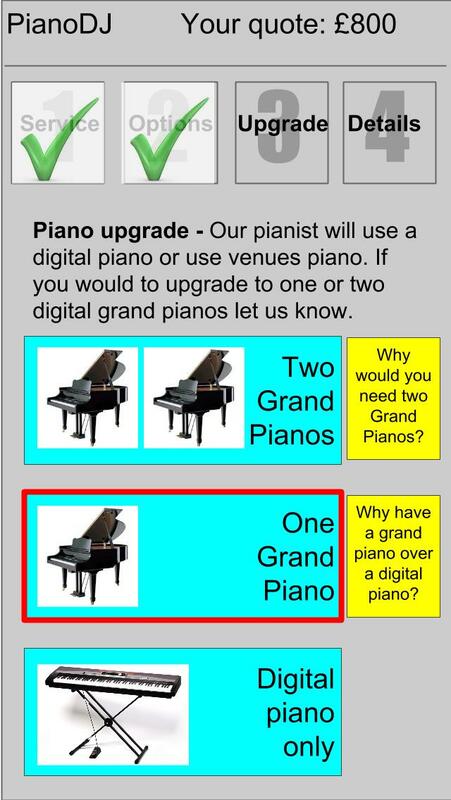 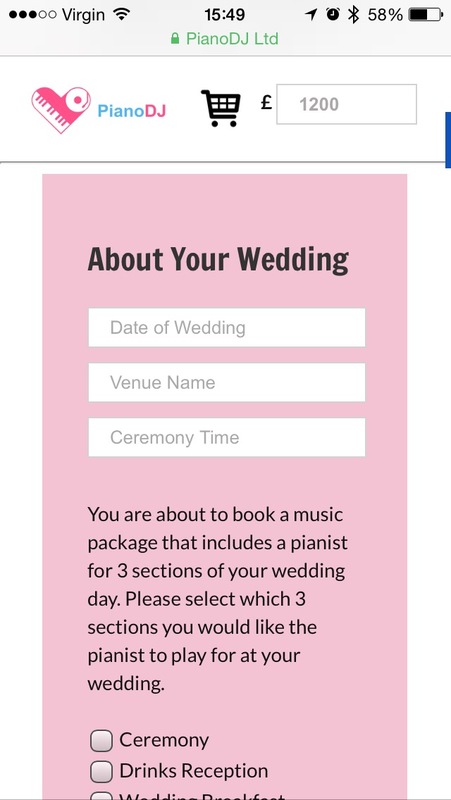 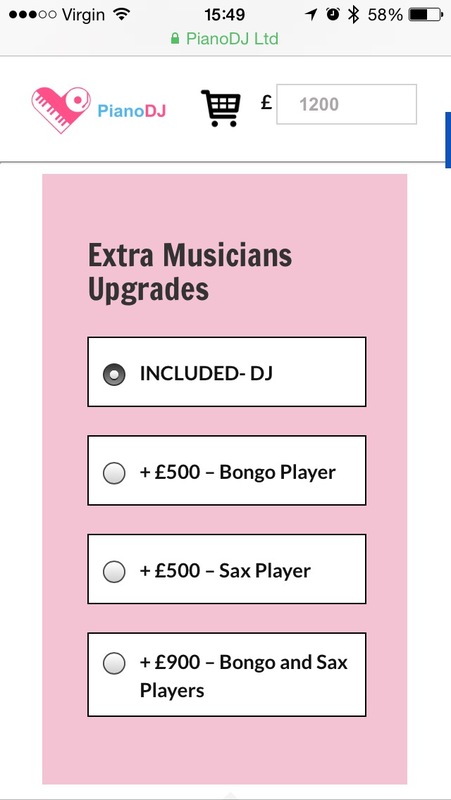 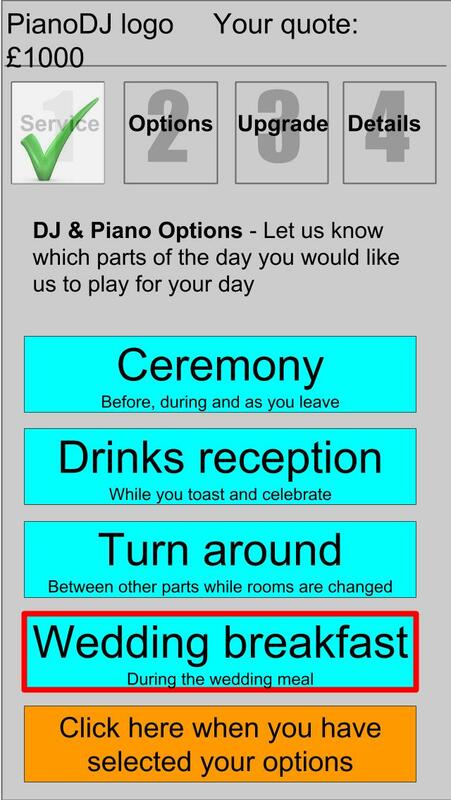 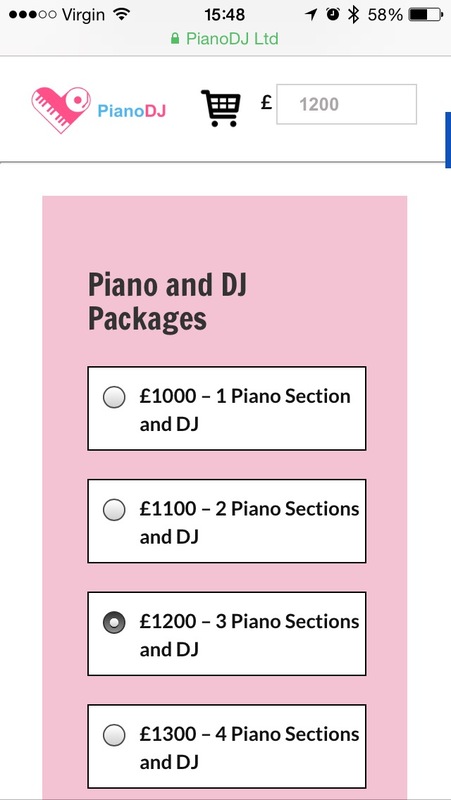 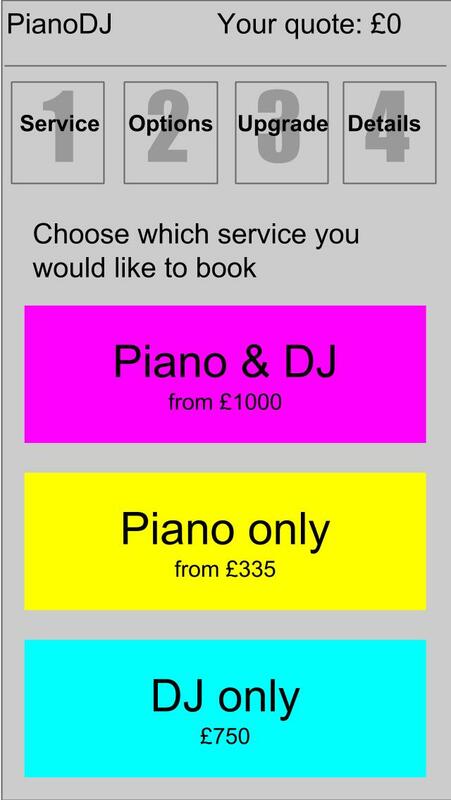 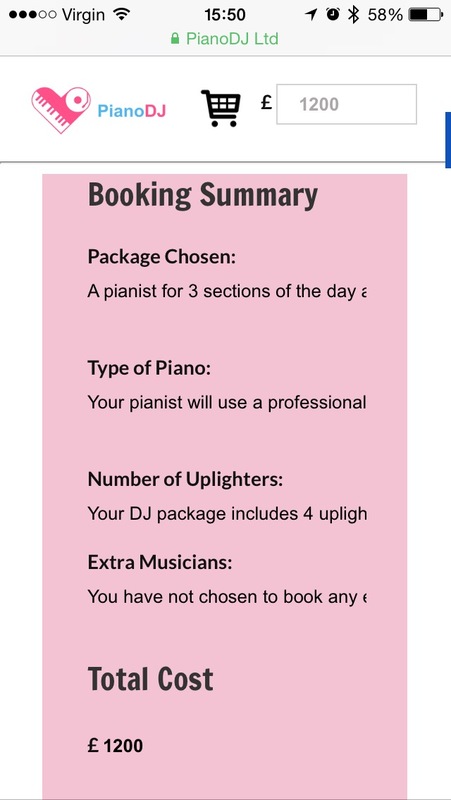 The booking form was a crucial part of taking PianoDJ fully online. 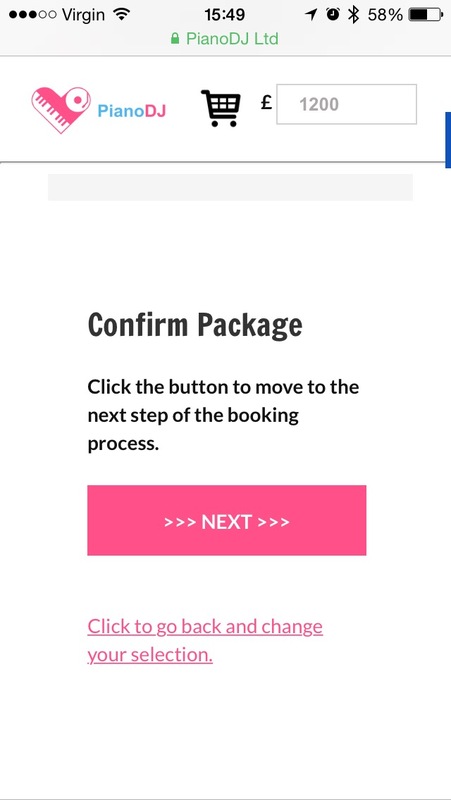 If there was a way to make it easy to book it would help people because they can do it when ever they want and not when the business was open. 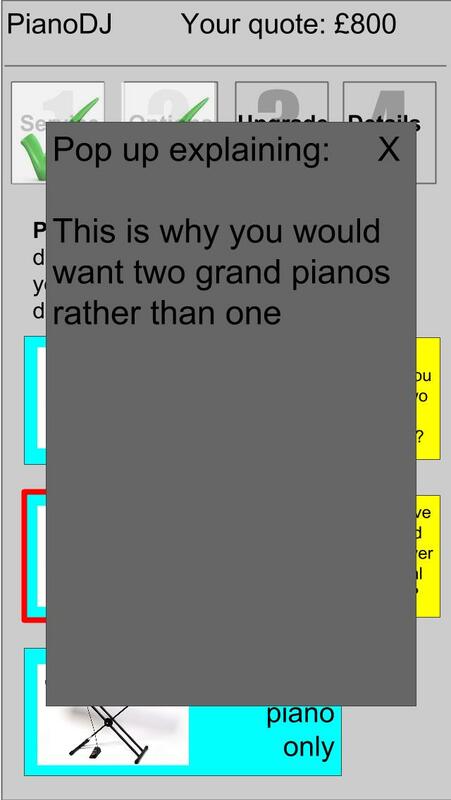 It had an important part of educating people as they went through so they under stand what they are getting and what they could have. 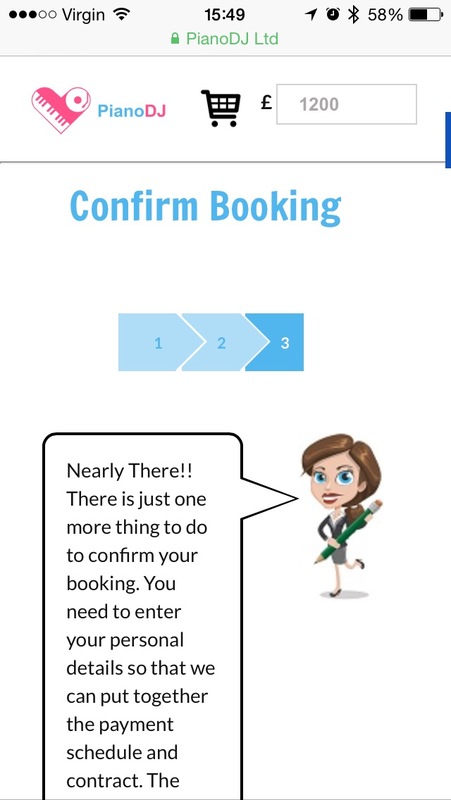 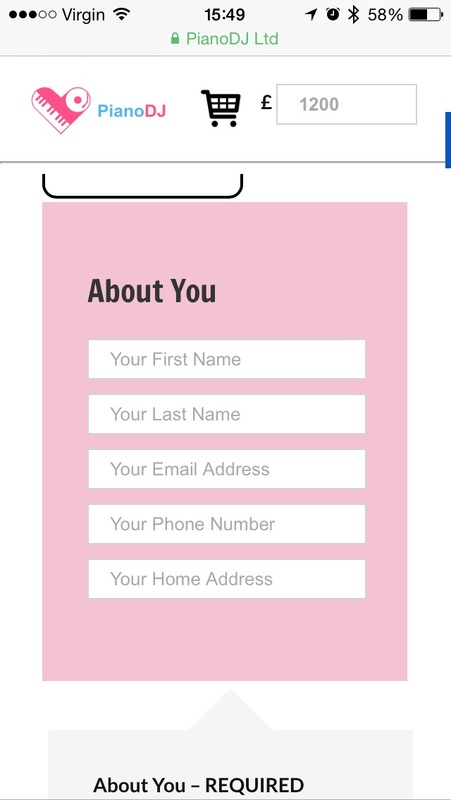 This booking form contributed to 13% of booking being taken with out speaking to a company representative first and nearly £250k worth of sales in 12 months. 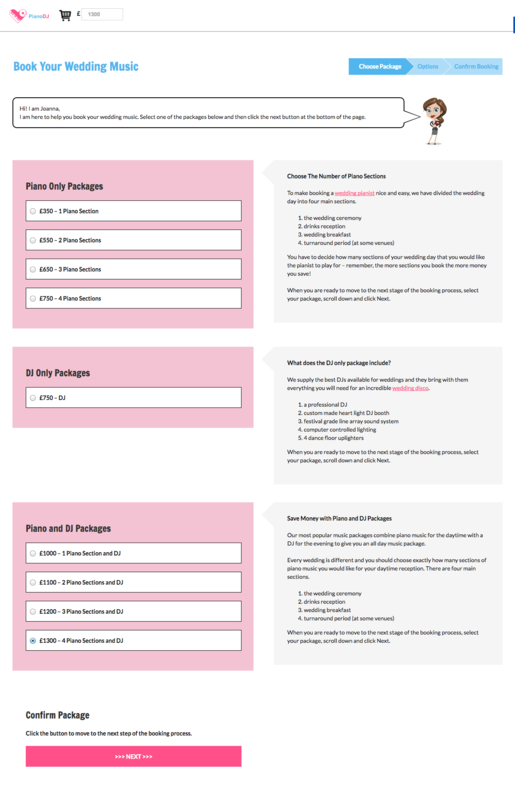 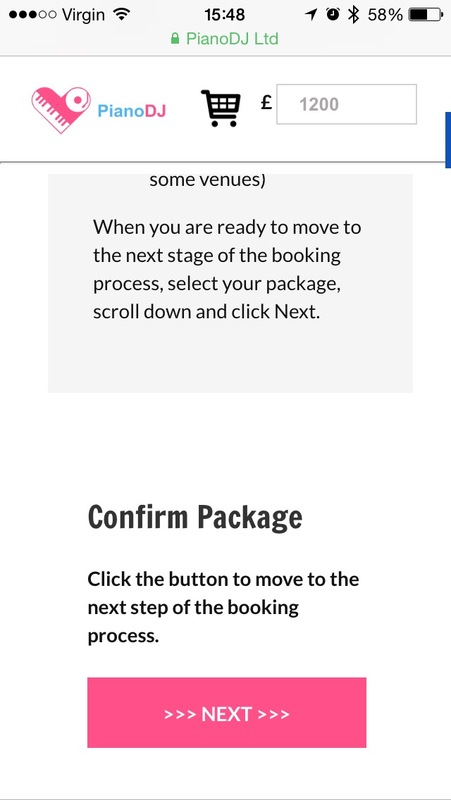 Click on each image to view a very tall screen shoot of each of the 3 stage of booking form.